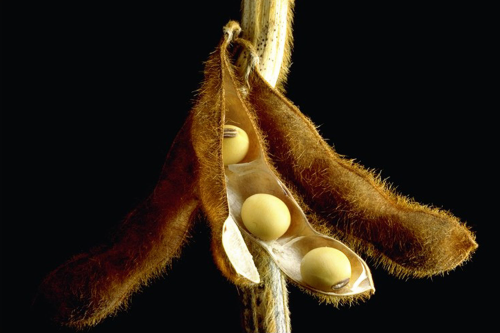 16/01/15 -- Soycomplex: Beans closed narrowly mixed, but with significant losses for the week. Talk of China cancelling 285 TMT worth of existing US purchases was a negative factor. This prompted the notion that demand is starting to switch to South America. There may have been an element of pre-weekend short-covering today after beans and meal both sustained some fairly heavy losses versus last Friday. It is also a long weekend in the US, with the market there closed on Monday for Martin Luther King Day. Some of the drier areas of Brazil are in for rain, if the weekend forecast verifies. "Mato Grosso is expecting near-normal rainfall this week, easing drought in the leading soybean state. High pressure is expected to drift eastward, opening the door for showers. Very dry conditions have dominated the state the past 30 days, with only 55-65% of normal rainfall occurring," said Martell Crop Projections. Argentina also is in for a shot at some good rains. 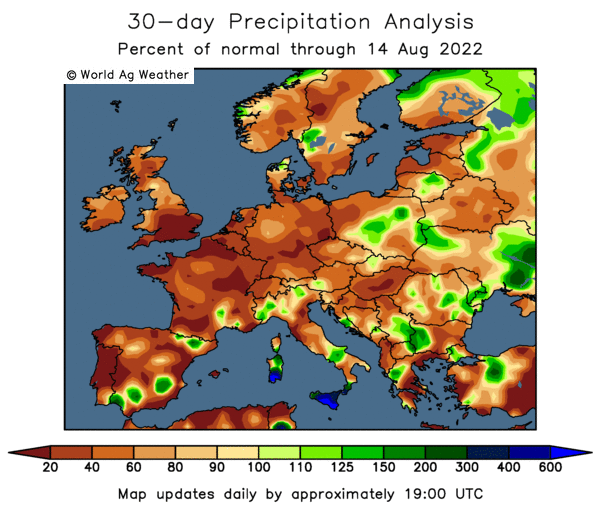 "The forecast for the upcoming week is wet throughout Argentina’s grain belt, including the drier areas of Buenos Aires. Heavy soaking rain would be highly beneficial for developing corn and soybeans," they add. "This coming week’s export sales should be the last of the 'big' weekly sales for the marketing year as China slows its purchases ahead of its Lunar New Year holiday and shifts any new purchases to cheap South American offers," said Benson Quinn. That report will be delayed until Friday. Mar 15 Soybeans closed at $9.91 3/4, up 3/4 cent; May 15 Soybeans closed at $9.97 1/2, down 1 3/4 cents; Mar 15 Soybean Meal closed at $326.20, down $0.50; Mar 15 Soybean Oil closed at 33.39, up 40 points. For the week, Mar 15 beans were down 60 1/2 cents, with meal down $22.90 and oil shed 29 points. Corn: The corn market closed with decent gains on the day, but still lower for the week. As with beans today's price action may have been tied to profit-taking on shorts ahead of the long weekend. Crude oil managed decent gains, and actually managed to finish the week higher than it began it for once. Ethanol prices were also higher today. Neither of those could be anything that you might call a key reversal of the recent downtrend though. Two US senators are said to have attached an amendment to the Keystone pipeline bill to alter the renewable fuel standard (RFS). The proposed amendment would remove corn ethanol from the RFS, and thereby hurting demand for corn. It is certainly no formality, indeed I would say it's highly unlikely, that the amendment will get passed however. There are however some reports of one or two US ethanol production plants starting to cut back on production as margins get squeezed. Things are looking pretty good for corn in Argentina where "the farm belt has received beneficial heavy rainfall the past 10-14 days, easing dryness in the top farm provinces Cordoba and Buenos Aires. Soaking rainfall comes at an ideal time for corn, now pollinating and filling grain. Cordoba crop conditions are much improved from 4 weeks ago," said Martell Crop Projections. 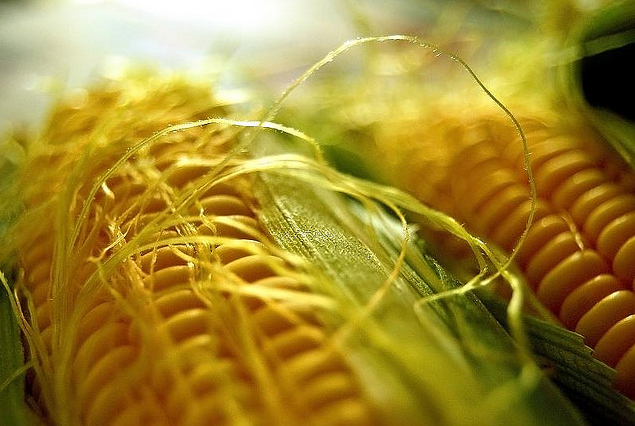 The USDA reported 106,600 MT of US corn sold to unknown under the daily reporting system. Mar 15 Corn closed at $3.87, up 7 cents; May 15 Corn closed at $3.94 1/4, up 7 cents.For the week that still puts Mar 15 down 13 1/4 cents whilst May 15 fell 14 cents. Wheat: The wheat market closed unchanged in Chicago, just about breaking a run of seven straight down days. Kansas and Minneapolis wheat managed small gains. All three exchanges still posted fairly sizable losses for the week though, with Chicago wheat leading the way with a weekly decline of 5.5%. Clearly the spec shorts feel more comfortable leaving their wheat position open over a 3-day weekend than they do for those of corn or soybeans. For Chicago wheat this was the lowest close on the weekly chart since the first week of November. The US dollar pushing to new highs simply isn't helping US wheat get to many international buyers, other than what you might call "very traditional" homes. Yesterday's export sales of 225,625 MT weren't great. It's been 8 weeks since the US sold more than 500,000 MT of wheat in a week, and it's been 15 weeks since we had two successive weekly sales totals higher than that amount. The US dollar has risen by 10% versus the euro during that time. Russia's new punitive export duty will be in place in two weeks time, and Ukraine look like they intend to cap wheat exports too. It's Europe that will be the most likely main beneficiary of these moves though, not US wheat. China keeps picking up the odd cargo of US wheat, but otherwise it's the usual suspects of Japan, the Philippines, Mexico and various Caribbean buyers that US wheat is left with. Mar 15 CBOT Wheat closed at $5.32 3/4, unchanged; Mar 15 KCBT Wheat closed at $5.77, up 4 cents; Mar 15 MGEX Wheat closed at $5.84 1/2, up 3 1/2 cents. For the week Chicago wheat fell 31 cents, with Kansas down 23 1/2 cents and Minneapolis 18 cents lower. 16/01/15 -- EU grains closed mostly higher, with Paris grains helped by continuing weakness in the euro. The results of yesterday's Egyptian tender again highlighted that French wheat is priced at the most competitive levels on the world stage, so why would prices need to move lower? The day ended with Jan 15 London wheat up GBP0.80/tonne to GBP126.30/tonne; Mar 15 Paris wheat was up EUR3.25/tonne to EUR197.50/tonne; Mar 15 Paris corn was EUR1.25/tonne higher at EUR159.50/tonne; Feb 15 Paris rapeseed rose EUR3.00/tonne to EUR357.00/tonne. For the week, Jan 15 London wheat was still down GBP4.90/tonne, although Mar 15 Paris wheat was EUR2.75/tonne firmer. Mar 15 Paris corn fell EUR3.25/tonne versus last Friday and Feb 15 Paris rapeseed was down EUR4.25/tonne. Brussels announced last night that they'd granted 553 TMT worth of soft wheat export licences this past week, taking the cumulative season to date total to 15.3 MMT, which is 3.8% down on where things stood a year ago. The USDA currently estimate EU all wheat exports to fall by 6% in 2014/15 compared to last season's record. Brussels also approved that Ukraine could export 950 TMT of wheat, 400 TMT of corn and 250 TMT of barley to the EU in a preferential duty-free deal. The new quota applied for the whole of the 2015 calendar year. 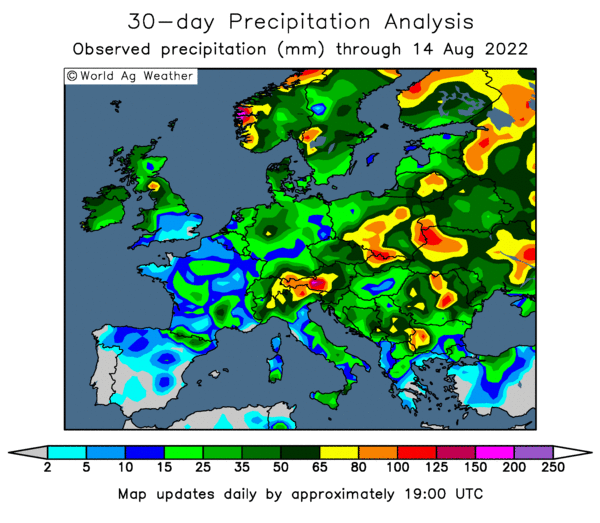 How much of that might be taken up in the remainder of the 2014/15 crop year (Jul/Jun) remains to be seen, as the Ukraine authorities appear to be looking to restrict wheat exports, particularly milling wheat exports, at this moment in time. The Ukraine Ministry said that the country had shipped 20.5 MMT of grains so far this season, including 8.44 MMT of wheat, 8.10 MMT of corn and 3.73 MMT of barley. In the case of wheat that's around 77% of the USDA's forecast for the season. It's also already 1 MMT more than the USDA's barley estimate for the whole of 2014/15. The pound settled at a seven year high 1.31 versus the beleaguered euro tonight. Further euro nervousness probably lies ahead, with the Greek elections due next weekend, and an ECB sponsored full-blown quantitative easing programme seemingly just around the corner. The pound is up almost 2.5% against the euro versus last Friday, which Bloomberg say is its biggest weekly advance in almost two years. 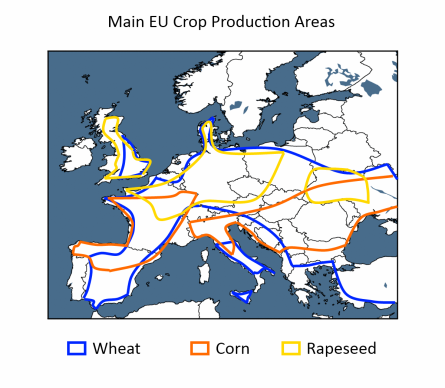 "This has reduced Paris rapeseed futures in GBP/tonne terms and means that UK rapeseed prices are likely to under increased pressure in order to remain competitive in EU markets," said the HGCA. Similar comments might also be applied to UK wheat. Meanwhile the 55% slump in global crude oil values from the highs of last summer continue to challenge the UK, EU and US bioethanol/ethanol industries to maintain some sort of profitability. 15/01/15 -- Soycomplex: Beans and meal closed at their lowest level since October, and are looking under a bit of pressure with record Brazilian (and if not record, then close to, from Argentina) crop on the way very soon. That said, the seasonal tendency is that beans frequently look a bit sloppy in January and February, when the lows of the year are often set. The sharply lower move came despite another round of strong weekly export sales for US beans. These came in at 1.13 MMT for 2014/15 and a further 305,000 MT for 2015/16. It will not surprise you to hear that China were the main taker in both crop years. Actual shipments themselves were also strong again this week at 1.75 MMT. The US has now shipped 31.4 MMT of soybeans so far this season, with a further 12.9 MMT of outstanding sales. That means that US exporters already have 92% of the USDA target for the season committed versus only around 75% normally at this time. Note that the current 2014/15 season is only 19 weeks old. "The fear or maybe reality of the US export trade is that it will come to a grinding halt shortly as demand is filled with fresh South American beans," said Benson Quinn. Also possibly catching traders' eyes today were weekly meal export sales of only 72,100 MT, the second poor week in a row. The December NOPA crush came in at 165.4 million bushels, which was around 1.5 million less than the trade expected. Looking ahead, US farmers will plant 88 million acres of soybeans in 2015 said Informa, that's up more than 5% versus 83.7 last year. Mar 15 Soybeans closed at $9.91, down 18 1/4 cents; May 15 Soybeans closed at $9.97 1/4, down 17 1/4 cents; Mar 15 Soybean Meal closed at $326.70, down $8.80; Mar 15 Soybean Oil closed at 32.99, up 17 points. Corn: The corn market closed slightly lower. Weekly export sales of 818,800 MT for 2014/15 and 25,200 MT for 2015/16 were in line with trade expectations for sales of around 650,000 MT to 1 MMT. Actual shipments themselves were pretty modest though at 400,200 MT. Nevertheless, total commitments are now 63% of the USDA target for the season versus 60% a year ago and 57% on average at this time. Separately, the USDA also reported 127,000 MT of corn sold to Japan for 2014/15 shipment under the daily reporting system. With crude oil prices remaining under pressure, the sustainability of ethanol margins is under scrutiny. US ethanol values fell to new 6-year lows today. Informa estimated US corn plantings in 2015 at 88.6 million acres, up versus 88.0 million previously, but around 2 million below last year. The USDA are due to give us their first glance at US planting potential this year towards the end of next month at their annual Outlook Forum, before the traditional March 31st prospective plant report is released. The Buenos Aires Grain Exchange said that Argentine corn planting is near 88% complete. They were unchanged on their estimate for plantings of corn for grain at 3 million hectares, down 21% from a year ago. The Rosario Grain Exchange report plenty of rain in northern and north eastern Argentina, which will help with grain filling, they said. In contrast, the south west of the country is a bit dry, they added. The Argentine Ag Ministry report that farmers there have almost 97% of their old crop corn sold, and approaching 23% of their new crop already committed versus only 7% this time a year ago. Mar 15 Corn closed at $3.80, down 1 cent; May 15 Corn closed at $3.87 1/4, down 1 1/4 cents. Wheat: The wheat market in Chicago closed lower for a seventh straight session, after early attempts at a rally fizzled out. Weekly export sales hopes weren't high, justifiably it would seem as these came in at a humdrum 284,800 MT, even if that was up 89 percent from the previous week's disaster it was still 11 percent below the prior 4-week average. There were also net sales of 92,400 MT for 2015/16, which were mostly unknown destinations, but that isn't going to get anyone too excited. The strong dollar remains a thorn in the side of US wheat export hopes it would seem. French wheat won a second clean sweep in Egypt's tender today, with US wheat not even offered. Argentine wheat was in he line-up, but was dearer than French even before more expensive freight was added on. There were no offers from Russia or Ukraine. There was supposed to be a "memorandum of cooperation" published by the Ukraine government today, detailing exactly what they are supposed to have agreed to with the country's wheat exporters. In classic Ukraine style it wasn't forthcoming. Some reports suggested that exports in Jan and Feb were supposed to be limited to 200,000 MT each, although that January volume had already been exceeded when the supposed "agreement" was made. Confusion reigns. The Argentine wheat harvest is over at 11.2 MMT, with yields ultimately coming in lower than hoped for, said the Buenos Aires Grain Exchange. Production in 2013/14 was 10.1 MMT, so this represents an increase of nearly 11% on last year. The Argentine Ministry said that farmers there still have 18% of last year's crop to sell, and that this season's production is nearing 45% sold versus 24% a year ago. Mar 15 CBOT Wheat closed at $5.32 3/4, down 5 cents; Mar 15 KCBT Wheat closed at $5.73, down 2 cents; Mar 15 MGEX Wheat closed at $5.83 1/4, up 2 3/4 cents. 15/01/15 -- Paris grains trade higher on bargain hunting and the weak euro. The pound rose above 1.30 against the single currency, to it's highest level since 2008, following a ruling by the European Court of Justice which essentially paves the way for the ECB to introduce a Quantitative Easing programme with little in the way of a legal challenge. At the close, Jan 15 London wheat was down GBP0.30/tonne at GBP125.50/tonne, Mar 15 Paris wheat was EUR2.25/tonne higher at EUR194.25/tonne, Mar 15 Paris corn was EUR1.25/tonne firmer at EUR158.25/tonne and Feb 15 Paris rapeseed was down EUR1.25/tonne at EUR354.00/tonne. The Swiss Central Bank shocked the markets by abandoning it's 1.20 floor versus the euro today, with the Swiss Franc immediately surging 25% against the single currency. 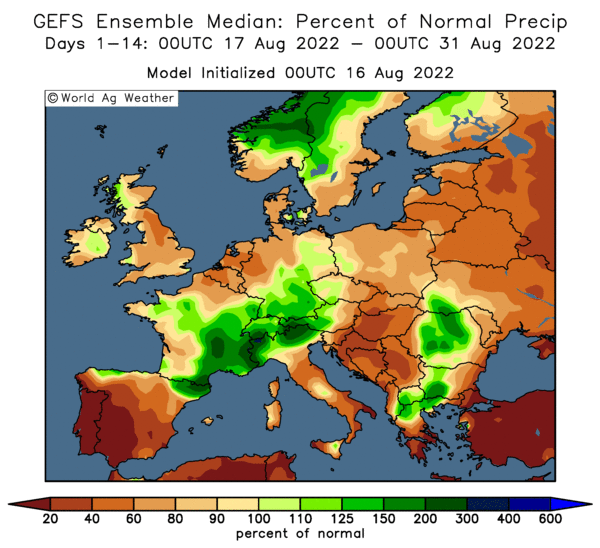 Whilst the continued demise of the euro looks set to further boost EU wheat export hopes, it will do little to aid those from the UK though. French analysts Strategie Grains raised their forecast for EU-28 soft wheat exports this season by 2.1 MMT to 29.3 MMT, which would now equal the record volume shipped out in 2013/14. FranceAgriMer yesterday raised their estimate for French soft wheat exports to non-EU destinations by 300 TMT to 8.8 MMT, as they continue to pick up extra export business. They said that the Russian export duty that comes into force on Feb 1 will keep an estimated 2.5-3.0 MMT of Russian wheat off the international market. That does of course however add a similar volume to be carried into next season's beginning stocks. Despite an improved export outlook, FranceAgriMer estimated French soft wheat ending stocks at 4.34 MMT, which is still almost 2 MMT (or 85%) higher than at the end of last season. French corn stocks were seen at 4 MMT following record production this year, that's up 74% versus 2013/14. Barley carryout was estimated at 1.5 MMT, an increase of 44% versus 12 months previously. Ukraine said that the country had exported 20.2 MMT of grains so far this season, including 8.35 MMT of wheat, 7.85 MMT of corn and 3.72 MMT of barley. APK Inform said that they expect Ukraine to export 32.9 MMT of grains in total in 2014/15, up 2.9% on last season, and 800 TMT above their previous estimate. Wheat exports will rise 16.4% to 10.8 MMT, although corn shipments will drop 8.8% to 18.0 MMT, they added. Egypt's GASC bought 240,000 MT of French wheat for Feb 19-29 shipment in their second tender of 2015. The price paid was substantially cheaper than that of only a week ago. There were no Russian or Ukraine offers, and Romanian wheat was priced out, as too was Argentine origin. Libya are also tendering for 50,000 MT of optional origin milling wheat. 14/01/15 -- Soycomplex: Beans and meal closed with small gains, save for the expiring Jan 15 contracts. The USDA announced 202,750 MT of US beans sold to unknown. That was split 102,750 MT for 2014/15 shipment and 100,000 MT for 2015/16 delivery. South Korea's KOCOPIA bought 50,000 MT of US beans for March/April shipment. Pakistan were said to have bought 66,000 MT of US beans, and be shopping for a further 60,000 MT from Brazil for April shipment. Chinese customs data showed that the country imported 18.658 MMT of soybeans between October – December up 5.9% from a year previously. The Rosario Grains Exchange estimated Argentina’s 2014/15 bean crop at 54.5 MMT versus a previous estimate of 55.0 MMT (the latter figure being the same as the USDA's and Dr Cordonnier's current forecasts). Dr Cordonnier trimmed his view on Brazil to 93.5 MMT versus a previous estimate of 94.0 MMT. Ag Resource are higher than that at 94-96 MMT. The USDA went for 95.5 MMT on Monday. Oil World said that Brazil exported only 139 TMT of soybeans in December, down from 177 TMT in November. The harvest in Brazil's Mato Grosso is said to be 2% complete, whilst Parana state is 3% done. Tomorrow brings Informa's take on US plantings this year, plus the NOPA crush report for December and the regular Thursday weekly export sales numbers. The trade is looking for bean sales of around 600,000-900,000 MT. Jan 15 Soybeans closed at $9.92 1/2, down 7 1/2 cents; Mar 15 Soybeans closed at $10.09 1/4, up 5 1/4 cents; Jan 15 Soybean Meal closed at $328.90, down $20.80; Jan 15 Soybean Oil closed at $32.57, up 18 points. Corn: The corn market closed around 4-5 cents lower. Crude fell to new lows, but had recovered somewhat to trade higher by the close. The US Energy Dept reported weekly ethanol production of 978,000 barrels/day, up from 949,000 the previous week. Stocks jumped from 18.8 million barrels to 20.2 million. The USDA announced 125,000 MT of US corn sold to Taiwan for 2014/15 shipment. Israel bought 100,000 MT of optional origin corn, with Ukraine thought to be the most likely supplier. The Rosario Grains Exchange estimated Argentina’s 2014/15 corn crop at 22.4 MMT versus a previous estimate of 21.5 MMT and the USDA's 22.0 MMT. Dr Cordonnier came in at 21.0 MMT, unchanged from his previous estimate. He sees production in Brazil at 74.0 MMT, which is also unchanged from his previous estimate. "Early planted corn in Argentina is subject to moisture stress in key producing areas of western Buenos Aires, northern Cordoba and La Pampa, according to a new report from Agro South. Currently 29% of corn is in the flowering stage and another 10% is filling grain based on data from the Ministry of Agriculture," said Martell Crop Projections. Trade estimates for tomorrow's weekly export sales report are around 650,000 MT to 1 MMT. Mar 15 Corn closed at $3.81, down 4 3/4 cents; May 15 Corn closed at $3.88 1/2, down 5 cents. Wheat: The wheat market closed lower, extending the recent losing streak to six straight sessions. Egypt appear to see this break in prices as an opportunity, they are back in the market with their second tender of 2015. The results of that are expected tomorrow. French wheat got a clean sweep in their last tender. US wheat remains hindered by the strong dollar, although that was a little off the highs today. Trade expectations for tomorrow's weekly export sales report are a fairly modest 350-550 TMT. They were only 151,000 MT last week, the lowest total of the season so far. Pakistan announced their intention to sell 1 MMT of their surplus wheat stocks. The Rosario Grains Exchange estimated Argentina’s 2014/15 wheat crop at 12.1 MMT versus a previous estimate of 12.0 MMT - the latter also being where the USDA currently sit. Various reports out of Ukraine suggest that some form of cap on wheat exports is to be put into place. Russia's export duty announcement doesn't yet seem to be doing them much good in procuring grain for the domestic intervention fund. They only picked up 4,320 MT of grain for that today, making the total bought since September 30th just 313,180 MT out of a stated aim to buy 5 MMT for government stocks. Mar 15 CBOT Wheat closed at $5.37 3/4, down 10 1/4 cents; Mar 15 KCBT Wheat closed at $5.75, down 6 3/4 cents; Mar 15 MGEX Wheat closed at $5.80 1/2, down 8 cents. 14/01/15 -- EU grains closed lower across the board, in what looks like a general commodity exodus as investment money switches into equities. Jan 15 London wheat ended down GBP3.20/tonne at GBP125.0/tonne, Mar 15 Paris wheat was EUR3.50/tonne lower at EUR192.00/tonne, Mar 15 Paris corn was down EUR2.50/tonne at EUR157.00/tonne and Feb 15 Paris rapeseed fell EUR1.75/tonne to EUR355.25/tonne. Crude oil slumped to a new near 6-year low today, just a few days after one well-known Saudi prince said that $100/barrel would never be seen again - a bold statement considering that it was above that level less than 6 months ago. Reports out of Ukraine indicate that at yesterday's "routine" meeting between the government and grain trading houses it was "agreed" to limit milling wheat exports for the remainder of the season to 1.2 MMT. Of that total the Ag Ministry only want no more than 400 TMT to be shipped out between now and March 15th, when a better grasp can be had on the health, or otherwise, of the country's winter wheat crop. Provided that conditions are assessed as "good" then the remaining 800 TMT of that quota can then be shipped. What proportion of the crop needs to be "good" for that to happen is unclear. Current estimates have around 18-20% of the crop in a poor condition. Agritel report a new Ukraine all wheat export objective of 12 MMT, of which the Ministry said earlier in the week that 8.34 MMT has been shipped already. They also report on a barley export target of 4.2 MMT (3.72 MMT shipped already) and a corn aim of 20.2 MMT (versus 7.77 MMT shipped so far). Rusagrotrans said that Russia exported 3.15 MMT of grain in December, and that will fall to around 1.5 MMT this month. Jul/Dec exports are 21.1 MMT (+29% versus a year ago), including 16.5 MMT of wheat (78% of that total), 3.2 MMT of barley (15%) and 1.1 MMT of corn (5%). Wheat exports after the end of the month are expected to be negligible once the new export duty kicks in. The Russian Ministry for Economic Development said that inflation there will peak at 15-17% in March/April. 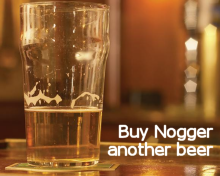 It stood at 11.4% at the end of December, up from 9.1% in November. The UK imported 231.4 TMT of corn in November, up 25% versus October and 4% higher than in November 2013. France (160.9 TMT) was the largest supplier. That takes Jul/Nov corn imports to 717.3 TMT, a 3% fall versus the same period a year previously. Again France (331.1 TMT) was the principal supplier. The volume of corn imported in November outstrips the size of wheat exports (206.5 TMT), where Spain (94.8 TMT) was the top home. FranceAgriMer raised their forecast for French soft wheat exports to non-EU destinations from 8.5 MMT to 8.8 MMT. 13/01/15 -- Soycomplex: Beans closed at 6-week lows. "Funds were said to be fleeing the grains and going back to the equities in early half of the session pressuring the corn and beans," said Benson Quinn Commodities. I guess we could call also this follow through activity from yesterday's sharp decline following the release of the USDA's January WASDE and stocks numbers. Today's fall came despite news that China imported a record 8.53 MMT of soybeans in December, up 41.45% from November. January imports are estimated at 6.9 MMT, falling to around 4.5 MMT in February, which is traditionally a quiet month due to the Chinese New Year celebrations. China customs data said that the country imported 71.4 MMT of soybeans in the 2014 calendar year, up 12.65% from 2013. Dr Cordonnier reported that the Brazilian government are to extend the compulsory soybean free period in Mato Grosso state from the current 90 days to 122 days, to run Jun 1 - Sep 30, in a bid to contain the Asian Rust virus. That may help prevent the growing trend to plant two soybean crops in a season in the state, and may also push back the early harvest a little bit next season. Jan 15 Soybeans are at $10.00, down 13 1/2 cents; Mar 15 Soybeans are at $10.04, down 12 cents; Jan 15 Soybean Meal is at $349.70, down $6.80; Jan 15 Soybean Oil is at 32.39, down 6 points. Corn: The corn market closed at 5-week lows, and well below the $4/bushel level. "Corn couldn’t follow through on the modest support experienced yesterday. Today’s price action hints at a top being formed," was Benson Quinn's opinion of today's action. The USDA announced 105,000 MT of US corn sold to unknown for 2014/15 shipment, but that news wasn't enough to save the day. Crude fell to new lows. The dollar remains firm, and recent weekly export sales continue to indicate that this is harming US export activity. Corn from Ukraine and South America is cheaper. 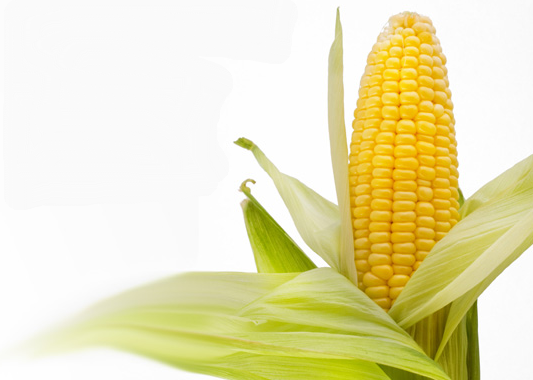 The Ukraine Ministry said that they had exported 7.77 MMT of corn so far this season. Taiwan's MFIG bought 50,000 MT of optional origin (possibly US) corn for Feb-March shipment. Taiwan Sugar Corp are tendering for 23,000 MT of US corn. Tomorrow's weekly US ethanol production data will be particularly interesting, after last week's numbers offered evidence of the perils of ethanol trading at a premium to gasoline, with production down 23,000 barrels/day to 949,000 bpd, and stocks up 700,000 barrels to 18.8 million. After that we get Informa's take on 2015 US spring plantings due on Thursday. Mar 15 Corn is at $3.85 3/4, down 16 1/4 cents; May 15 Corn is at $3.93 1/2, down 16 1/2 cents. Wheat: The wheat market closed lower for the fifth day in a row. Dollar strength continues to hamper US export ambitions, as indicated by the recent run of very poor weekly export inspections. Weakness in corn and soybeans didn't help today either. "Chatter regarding Ukraine limiting Jan and Feb sales to 200,000 MT made its way through the trade. Word is exporters have been asked to limit sales for Jan and Feb to 200,000 MT, while an assessment of their supply situation will be done in April," said Benson Quinn. Russia's wheat exports meanwhile are said to have dipped sharply in the first couple of weeks of January. This is partly due to bad weather, the observance of the Orthodox Christmas celebrations, and delays in getting the appropriate paperwork through. That doesn't bode well for traders trying to push through existing sales commitments before the introduction of the new export duty on Feb 1. Agritel forecast Russia's 2014/15 wheat exports at 18 MMT, which is 2 MMT lower than yesterday's revised downwardly estimate from the USDA, They said that 16.3 MMT of that had already been shipped by the end of December. Mar 15 CBOT Wheat is at $5.48, down 7 1/2 cents; Mar 15 KCBT Wheat is at $5.81 3/4, down 8 3/4 cents; Mar 15 MGEX Wheat is at $5.88 1/2, down 6 3/4 cents. 13/01/15 -- EU grains traded mixed. News that UK inflation fell to 0.5% in December, the joint lowest on record, seemed to make little difference to the pound which was up against the euro and down versus the US dollar. The day ended with Jan 15 London wheat down GBP0.20/tonne to GBP129.00/tonne; Mar 15 Paris wheat was up EUR1.50/tonne to EUR195.50/tonne; Mar 15 Paris corn was EUR2.75/tonne lower at EUR159.50/tonne; Feb 15 Paris rapeseed was EUR1.25/tonne firmer at EUR357.00/tonne. UkrAgroConsult said that the EU-28 2015 rapeseed crop could fall 15% to a 3-year low of around 20.5 MMT due to the neonicotinoid ban. Russia bought 20,925 MT of grains for its intervention fund, in its first purchasing round of 2015. That takes the total bought so far this season to only 308,860 MT out of an official government target of 5 MMT. Inflation in Russia finished 2014 at 11.4%, said the local State Stats Office. It was only 6.1% at the beginning of the year, prior to the seizure of Crimea and subsequent Western sanctions against them. Agritel said that Russia had exported 16.3 MMT of wheat in 2014/15 (to Dec 31), and that they don't expect full season exports to finish much higher than 18 MMT due to the new Feb 1 export duty. That's 2 MMT less than the USDA forecast yesterday and 0.3 MMT below exports in 2013/14. Ukraine said that it had exported more than 20 MMT of grains so far this season (to Jan 12), including 8.34 MMT of wheat, 3,72 MMT of barley and 7.77 MMT of corn. APK Inform said that Ukraine exported 200 TMT of wheat to Egypt in December, and has shipped the world's largest wheat buyer a record 1.66 MMT of wheat so far in 2014/15, up from 1.43 MMT a year ago. They forecast Ukraine's full season 2014/15 wheat exports at 10.8 MMT, up from 9.3 MMT a year ago, although slightly less than the 11.0 MMT estimated by the USDA yesterday. 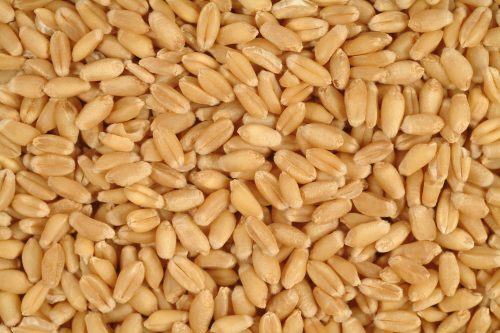 Turkey bought 60 TMT of durum wheat and 50 TMT of barley in a tender. Israel are in the market for 100 TMT of optional origin corn. 12/01/15 -- Soycomplex: Beans closed with heavy losses following the release of what Benson Quinn amusingly called "the long awaited, highly anticipated, much discussed and over hyped" January WASDE and quarterly stocks reports from the USDA. In that, they raised US 2014 soybean yields by 0.3 bu/acre to 47.8 bu/acre. Planted and harvested acres were cut, but not by as much as expected. US exports were raised, reflecting the very strong pace witnessed so far this season, but only by 10 million bushels. The bottom line in all that, as if by magic, is that US 2014/15 ending stocks are exactly the same as they were in the December report at 410 million bushels, which is around 4.5 times what they were at the end of last season. Elsewhere, they raised their outlook on Brazil's 2014/15 soybean crop from 94 MMT to 95.5 MMT. Argentina was left unchanged at 55 MMT. China's import needs were also unaltered at 74 MMT. The bottom line on a global level is that world ending stocks were raised to a record 90.8 MMT, which is almost 1 MMT higher than a month ago and 37% up versus 2013/14. Separately, the USDA also reported weekly US export inspections of a robust 1.839 MMT. Jan 15 Soybeans closed at $10.13 1/2, down 38 cents; Mar 15 Soybeans closed at $10.16, down 36 1/4 cents; Jan 15 Soybean Meal closed at $356.50, down $7.30; Jan 15 Soybean Oil closed at 32.45, down 109 points. Corn: The corn market closed with small gains, resisting the negative pull of crashing soybeans and lower trade in the wheat pit. The USDA were expected to reduce 2014 US corn yields from last month's 173.4 bu/acre, and they did. However, 171 bu/acre was a bigger cut than the market was anticipating. Harvested acres were left unchanged. The bottom line was a 14.216 billion bushel crop, some 133 million bushels below trade expectations and down from 14.407 in December, although still a record. US 2014/15 corn ending stocks were reduced to 1.877 billion bushels, some 6% lower than the December estimate of 1.944 billion. Global production numbers were unchanged in Brazil, Argentina, China etc. India's crop was raised 1 MMT to 22 MMT. Europe's 2014/15 corn crop was nudged a little higher to close on 74 MMT. World ending stocks came in around 3 MMT below last month's estimate to 189.15 MMT. Chinese corn consumption was left unchanged at 216 MMT. Worth noting was a 1 MMT hike in US sorghum exports to 6.8 MMT. China's sorghum imports were raised from 5 MMT to 6.2 MMT, which is more than 2 MMT up on a year ago. Weekly export inspections of just over 500 TMT weren't too impressive, and came in towards the lower end of trade expectations. The strong US dollar appears to be continuing to harm US exports, even though the USDA left these unchanged at 44.5 MMT in 2014/15. Mar 15 Corn closed at $4.02, up 1 3/4 cents; May 15 Corn closed at $4.10, up 1 3/4 cents. Wheat: The wheat market closed around 8-10 cents lower across the three exchanges. "The report offered a few negative old crop features and a couple of mildly support new crop features. The negative aspects of the report are immediate, while the potential supportive aspects towards new crop will need some time to develop, if they develop at all," noted Benson Quinn. Amongst the negative old crop features were December 1 wheat stocks of 1.525 billion bushels, up from pre-report estimates of 1.499 billion. They put 2014/15 US ending stocks at 687 million bushels, up from 654 million previously. 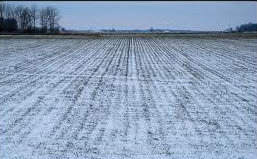 Friendlier news for US wheat further down the line came from total US all winter wheat acres of 40.452 million, which was more than 2 million below trade expectations of 42.564 million and down nearly 2 million from 42.399 million the previous year. Russia's 2014/15 wheat exports were cut 2 MMT to 20 MMT, of which more than 80% had been shipped by the end of 2014, they said. The reduction in exports is due to the introduction of the Feb 1 export duty. "The global impact on trade is expected to be minimal because other exporter supplies are abundant," though, they said. Europe, Ukraine and Kazakhstan are expected to pick up 1.9 MMT of extra wheat export business between them, the USDA estimated. World wheat ending stocks were raised more than 1 MMT to 196 MMT, which is more than 10 MMT up on last season. Weekly US export inspections of only 238,153 MT were very poor once again. Mar 15 CBOT Wheat closed at $5.55 1/2, down 8 1/4 cents; Mar 15 KCBT Wheat closed at $5.90 1/2, down 10 cents; Mar 15 MGEX Wheat closed at $5.95 1/4, down 8 cents. 12/01/15 -- EU grains were mostly lower in subdued trade ahead of today's USDA WASDE and quarterly stocks report due at 5pm London time. They will also give us their thoughts on US winter wheat plantings then too. At the close, Jan 15 London wheat was down GBP2.00/tonne at GBP129.20/tonne, Jan 15 Paris wheat was EUR2.50/tonne lower at EUR192.25/tonne, Mar 15 Paris corn was EUR0.50/tonne easier at EUR162.25/tonne and Feb 15 Paris rapeseed was EUR5.50/tonne weaker at EUR355.75/tonne. Fresh news of any particular note is scare ahead of tonight's USDA announcements. The Ukraine Ministry said that they had no plans to restrict grain exports, and that tomorrow's scheduled meeting with traders there was simply part of its normal routine to discuss things for the year ahead. We shall see if that's true in due course. They may seek "voluntary" agreements with the trading houses concerned, who will be very keen to agree to whatever it takes to obtain the appropriate VAT refunds on grains that have already been exported this season. The government recently proposed to cancel this arrangement. Inflation in Ukraine officially hit 24.8% at the end of December. The Ukraine Ministry said that the country had exported 19.6 MMT of grains so far this season, to Jan 6, including 8.16 MMT of wheat, 3.63 MMT of barley and 7.66 MT of corn. The USDA's December WASDE report had them down to export 10.3 MMT of wheat in 2014/15, along with 2.7 MMT of barley and 16.5 MMT of corn. That means that they've already shipped out 79%, 135% and 46% respectively of those volumes already. The Ukraine Ministry said that they had shipped all 1 MMT of corn in a contract signed with China in October, contrary to reports around a month ago that they may default on up to 20% of that deal. Kazakhstan said that it had no plans to introduce grain export restrictions/duties. Their crop came in at 18.9 MMT this year, or 17 MMT in clean weight, leaving around 7 MMT available for export, according to the local Ag Ministry. India's state-owned wheat stocks are 25.1 MMT, which is three times the government's minimum buffer requirement. Harvesting of new crop starts in March. 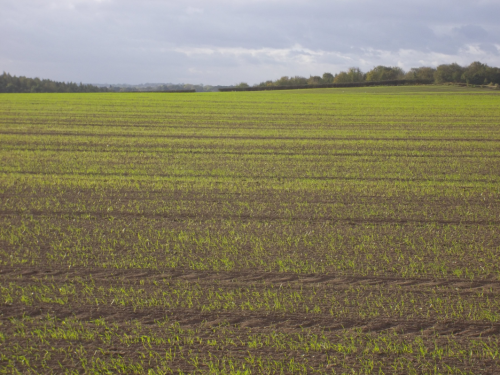 Plantings for that are 2% down versus this time a year ago at 29.93 million ha. Egypt said that after last week's purchase of French wheat they now have enough wheat bought to last them until the first week of May. Bangladesh are tendering for 50 TMT of wheat. The USDA's FAS forecast that the country will import 3 MMT of wheat this season, down slightly on the 3.3 MMT shipped in last season. Late in the day, the USDA raised their outlook on EU wheat exports this season by 1 MMT to 30 MMT. Russia's were lowered 2 MMT to 20 MMT. Ukraine's and Kazakhstan's were increased by 700 TMT and 200 TMT respectively. They also nudged higher the size of the 2014/15 EU-28 wheat crop from 155.4 MMT to 155.5 MMT.